As all riders know, swinging a leg over someone else’s steed is usually asking for trouble. And that goes double in the world of custom builds. There’s always the fear of potential damage—and then envy strikes, with the desire to create something faster and more beautiful of your own. 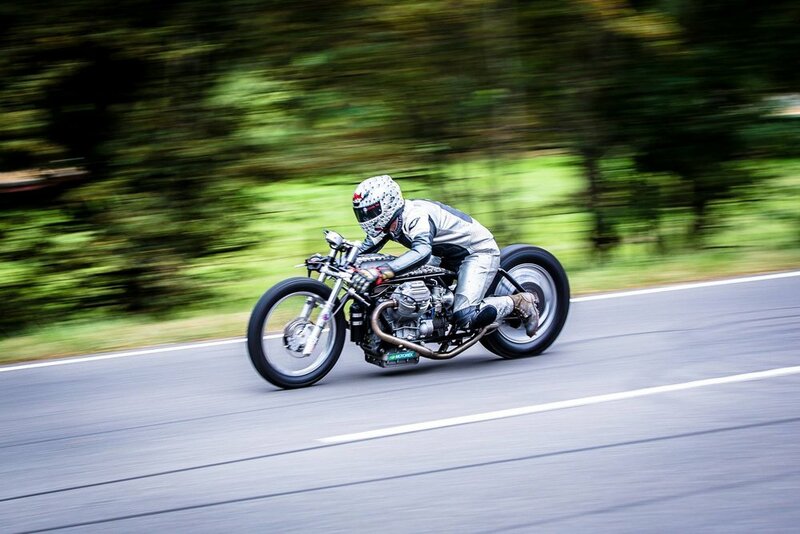 And that’s what happened when Fabian from Young Guns Speed Shop settled into the saddle of Lucky Cat’s BMW Sprintbeemer. Like the famous Sprintbeemer, ‘Ferdinand the Sparrow’ is a stretched and spartan 1/8-mile sprinter. Speed is its main mission, but there is infinite appeal in its gut-punch aesthetic. 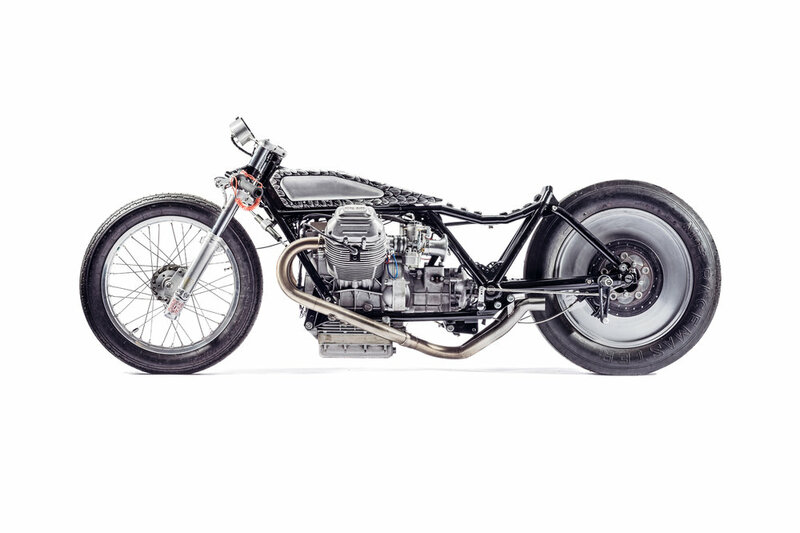 The costly and very lavish tuned 1200cc engine, transplanted from a 2007 Moto Guzzi Norge, is perched in a heavily modified ’76 Le Mans 1 frame. 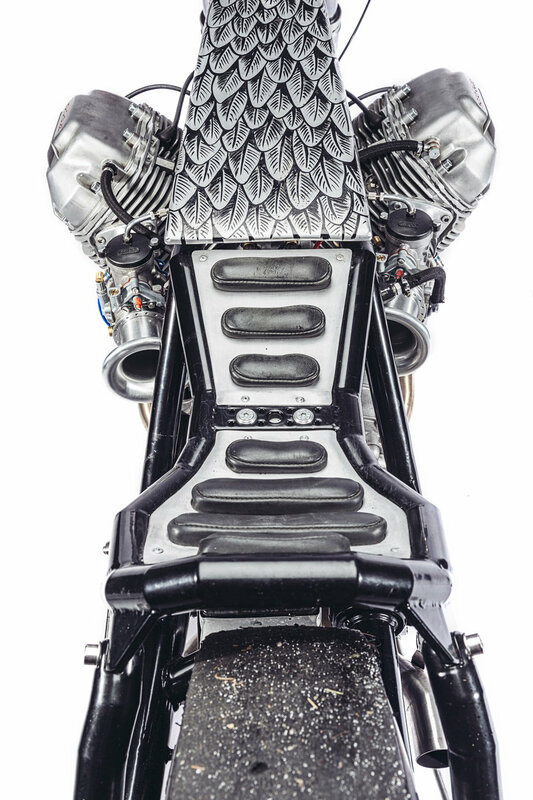 The engine was built in collaboration with the university of Stuttgart and a german engineering company including a digital, wet NOS system to give the Bird enough power to run the 1/ 8 mile within just 5.6 seconds. 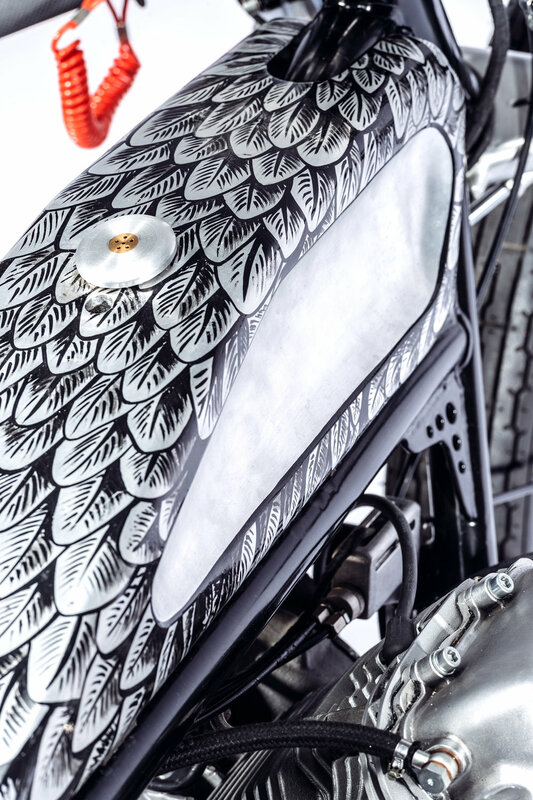 The frame and forks have been modified to help Ferdinand fly as low as possible—with the oil pan constantly flirting with a cracked pavement disaster.